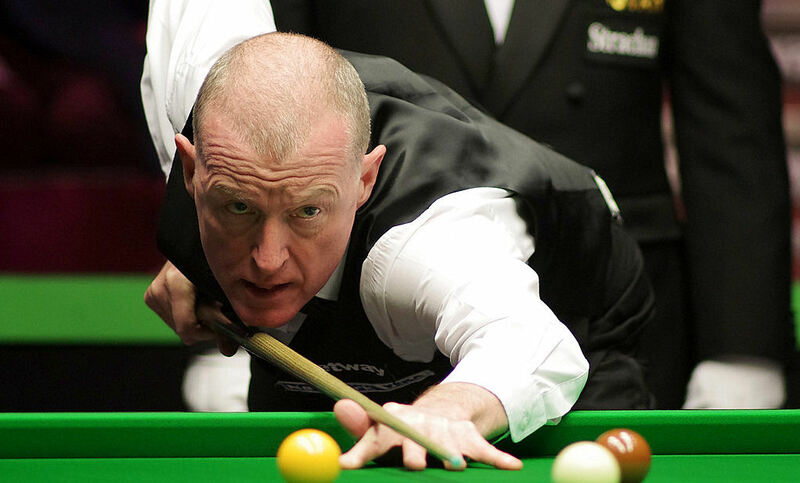 Steve Davis, six time World Champion and the sport’s greatest ever ambassador, has announced his retirement from competitive snooker, 38 years after turning professional. The 58-year-old played Fergal O’Brien in the first qualifying round of the Betfred World Championship last week, losing 10-4, in what turned out to be his final match. With a fitting send off from the Crucible crowd, Davis was introduced into the famous arena one last time, just before today’s afternoon session. He was given a long ovation as he waved goodbye. Davis will continue his role as an expert commentator and analyst for BBC Sport. He remains a director for governing body the WPBSA and figurehead for the sport’s Cue Zone Into Schools Programme. In fact his playing career effectively ended at the end of the 2013/14 when he dropped off the main tour after a 36-year unbroken run, having turned pro in 1978. Handed a special invitation by World Snooker to play in selected events, he last won a match in the 2015 world qualifiers, beating Jamie Cope 10-9. This season he decided to enter sport’s biggest event in order to give his father Bill the chance to watch him on live streaming one last time. Sadly, Bill died at the age of 89 last month, leaving Steve to play in the tournament as a tribute. Davis almost broke down in a press conference today when he said that his match against O’Brien was the only one he’d ever played without his father. Unquestionably one of snooker’s all-time greats, Davis was the sport’s first true professional as his career got going just as the boom took off in the late 1970s. 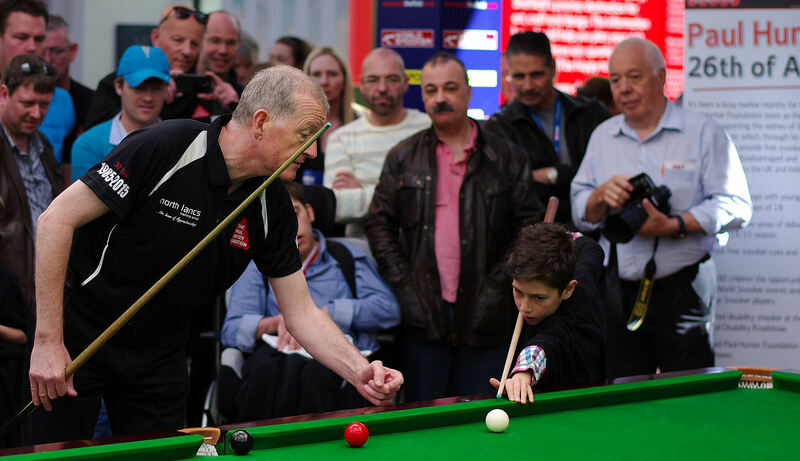 Relentless dedication to practice and unprecedented focus on technique, guided by his father and coach Frank Callan, made Davis the best player in the world, eclipsing the triumvirate of the old regime: Ray Reardon, John Spencer and Alex Higgins. Davis went on to dominate throughout the 1980s. His first world title arrived in 1981 when he beat Doug Mountjoy 18-12 in the final. 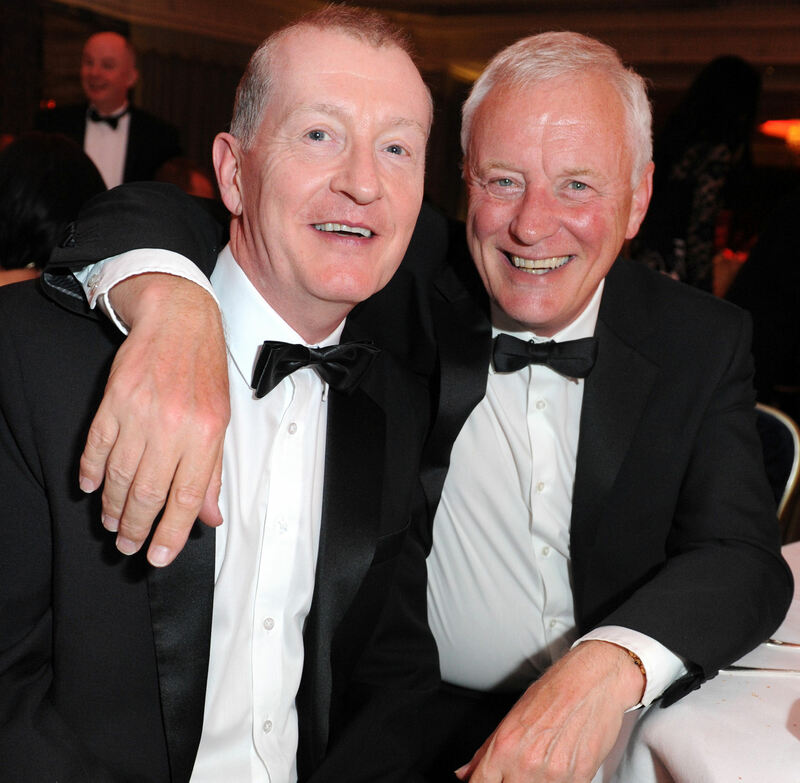 His manager Barry Hearn, who ensured that Davis’ success as a commercial entity away from the table would run in parallel with his success on the green baize, famously bear-hugged his client on the Crucible floor as they celebrated reaching the pinnacle. Davis went on to lift the iconic trophy five more times, matching the modern-era record of six set by Reardon. His dismantling of John Parrott in the 1989 final, by a record 18-3 scoreline, remains one of Davis’ favourite memories. He took ruthlessness to a new level, not so much kicking a man when he was down as stamping him into the ground and closing the coffin lid. A superb break-builder with an unrivalled safety game and unshakable temperament, he is regarded by many as, alongside John Higgins, the best all-round player ever seen. In fact his most famous Crucible finals were the ones he lost: the epic 1985 contest when Dennis Taylor beat him 18-17 on the last black, and the following year when he lost to rank outsider Joe Johnson. Three decades on, Davis recalls the former with a wry appreciation that he was involved in one of British sport’s great moments. 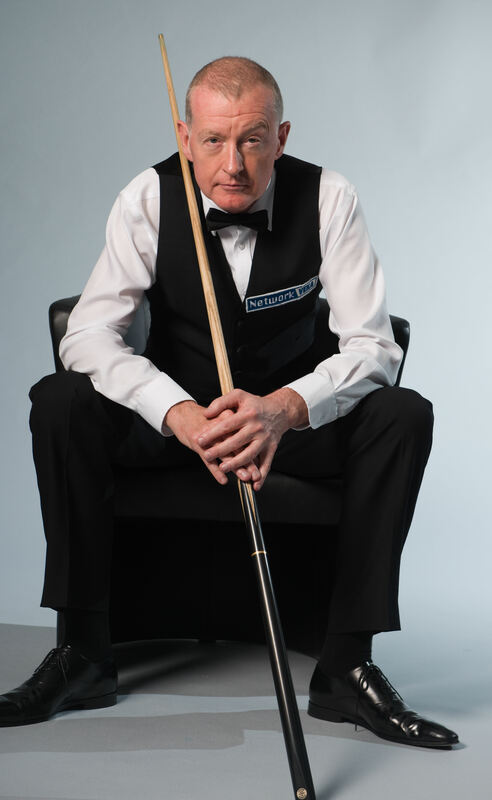 He won the UK Championship a record six times between 1980 and 1987 and in all captured 28 ranking titles, leaving him joint second on the all-time list alongside Ronnie O’Sullivan and John Higgins, behind Stephen Hendry who won 36 before he retired in 2012. Davis played at the Crucible a record 30 times and was ranked number one in the world from 1983 to 1990. He was named BBC Sports Personality of the Year in 1988 – the only snooker player to win the award – and was given an OBE in 2001. He finished his career with a total of 355 century breaks and earned more than £5.5m in prize money. Davis also won the Masters three times, including an astonishing victory over Ronnie O’Sullivan in the 1997 final at the age of 39. That proved his last significant tournament win. He names the most satisfying victory of his career – perhaps because it is the clearest memory – as a 13-11 defeat of John Higgins at the 2010 World Championship which saw him reach the quarter-finals at the age of 52. During the 1980s boom, Hearn would take Davis – along with other players in the Matchroom Mob – around the globe to play snooker, meet dignitaries and spread the word about the sport. Shy and reserved in his early 20s, Davis gradually came out of his shell as his deadpan humour, intelligence and warm personality came to the fore. He acquired the nickname Interesting, which was supposed to be ironic, but in fact anyone close to Davis would count him among their most interesting acquaintances. Away from the table, for periods he has developed intense interests in chess, golf and poker and he’ll now have more time to indulge his greatest passion other than snooker – music – in his hobby as a DJ. He will remain a familiar figure on the circuit through his work with BBC and various ambassadorial roles. But for those who supported him – or his opponents – through the heyday of his playing career, and enjoyed his exquisite skills in the decades afterwards: that era is gone. “It has been a fantastic. The game will move on to other places but I feel like the grandfather of the sport,” said Davis. “I will still do exhibitions and enjoy snooker and be part of it. Hopefully I’ll be with the BBC team for as many years as they want me. I will still be involved in the coaching and schools project because I think those things are important. I just don’t want to play any more. It’s too hard, just too hard. “It had cross my mind that perhaps I could go for the challenge of Q School next year just to see how I got on. In a way it would be going full circle to see if I could qualify to turn pro again. But my father wasn’t well so I entered the World Championship for him this year. He was still alive when I entered, then he passed away so I played the match against Fergal and it was only one I ever played without him.